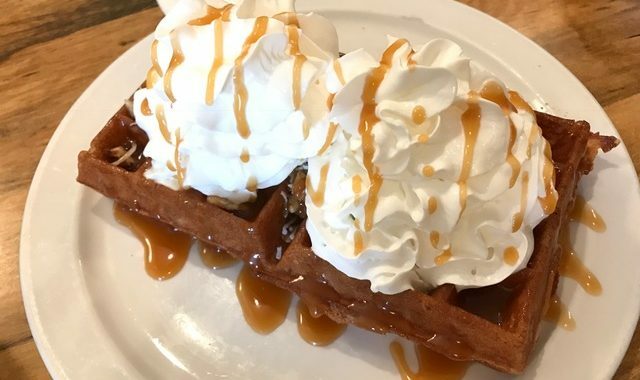 Moving into the spotlight is “More than Waffles”. 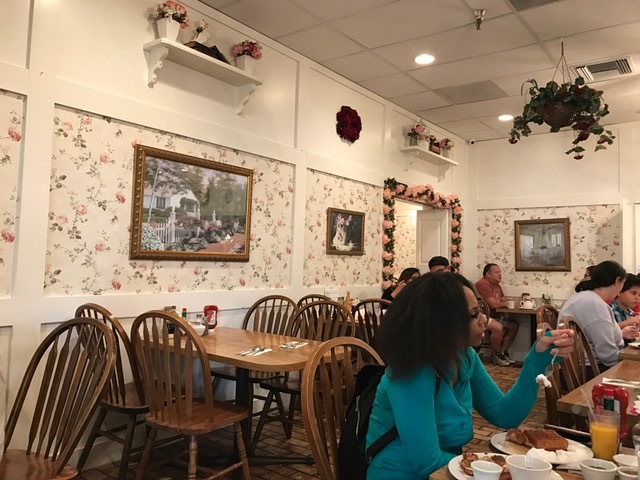 Imagine stepping into your grandparent’s home and being greeted by friendly staff, that’s the type of warmth this restaurant exudes. 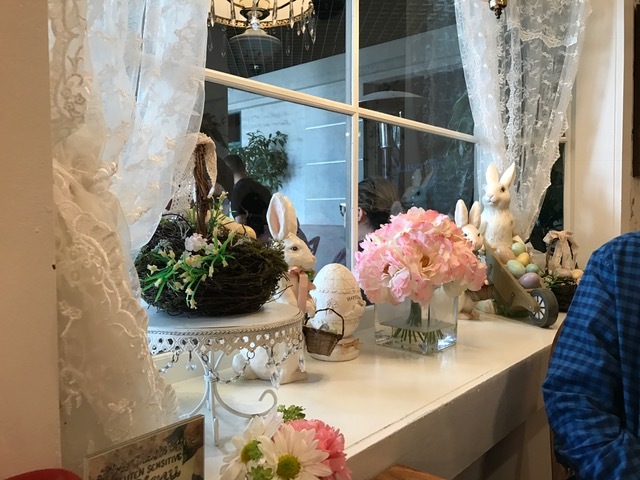 The décor is currently set to theme for the upcoming holiday, Easter. 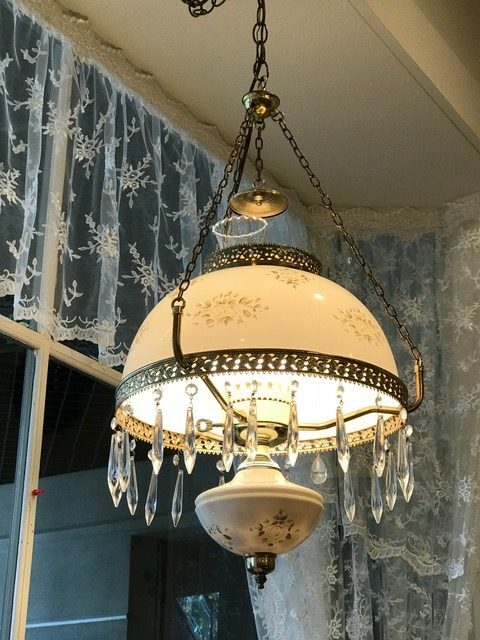 There are elegant chandeliers hanging throughout the restaurant and the walls are decorated with a pink yet subtle flower pattern. 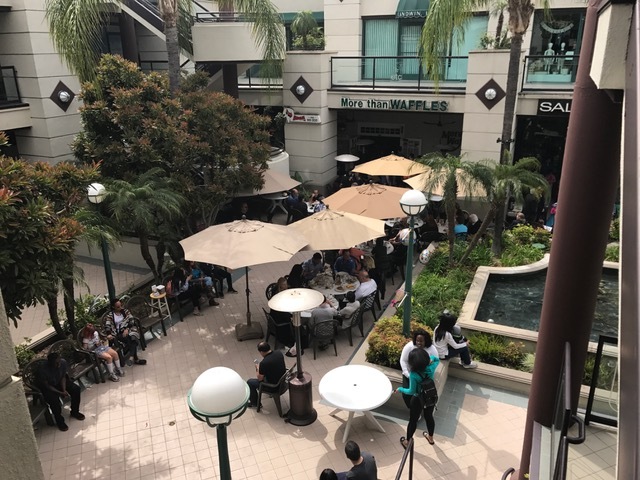 Located in the city of Encino, this popular restaurant holds true to its name. The menu offers a wide variety of foods specializing in breakfast and lunch. 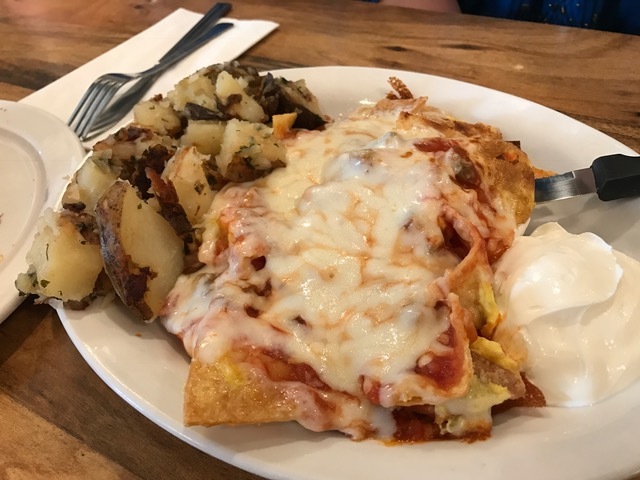 You can order the classic Chicken and Waffle or experiment with other parts of the menu which also includes a “Healthy & Gluten Free Menu,” offering dishes such as the Chilaquiles (pictured below) and the popular Mediterranean Potatoes. We can attempt to explain how delicious these dishes are, but it is something you must experience for yourself. 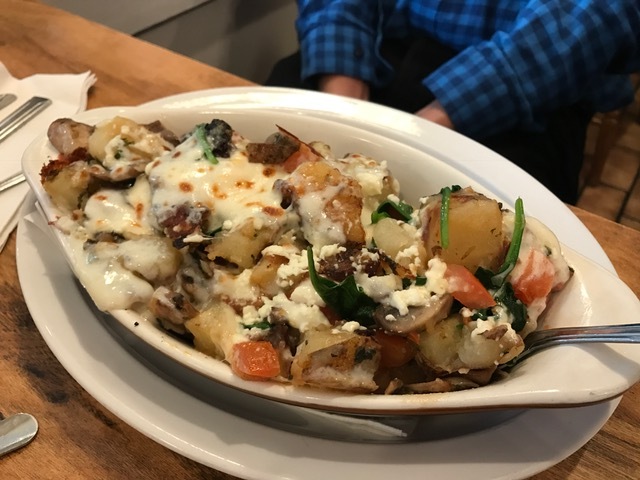 We recommend trying the Veggie Potato Dish. What’s better than delicious food? Food served in big portions! So take the liberty of ordering various dishes and sharing amongst your friends. Craving something sweet? 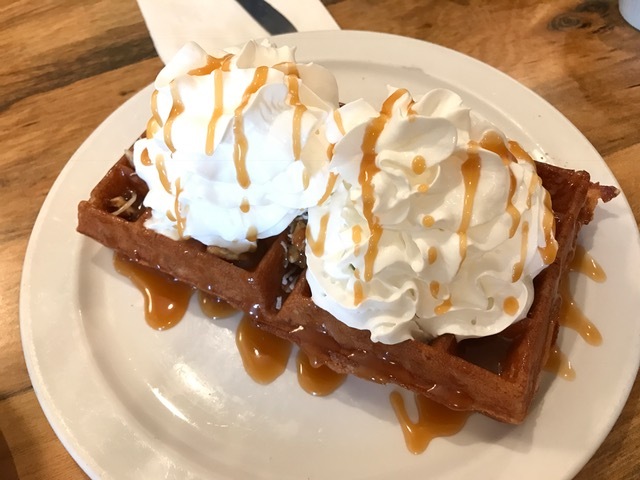 Fluffy, light Belgian waffles are ready to be served in various ways. Start off by choosing from low fat yogurt, whip cream, or ice cream as a topper. Prepare yourself to make the difficult decision of selecting between ingredients such as the Bacon & Cheddar, Hot Apple, Chocolate Chip, Crazy Caramel or Coconut Pecan just to mention a few. Pancakes and French toast are also available. Did we mention the homemade jam!? Yup! Their complimentary homemade jam is served upon arrival. Don’t be shy and ask for seconds. Don’t take our word for it and experience it yourself. 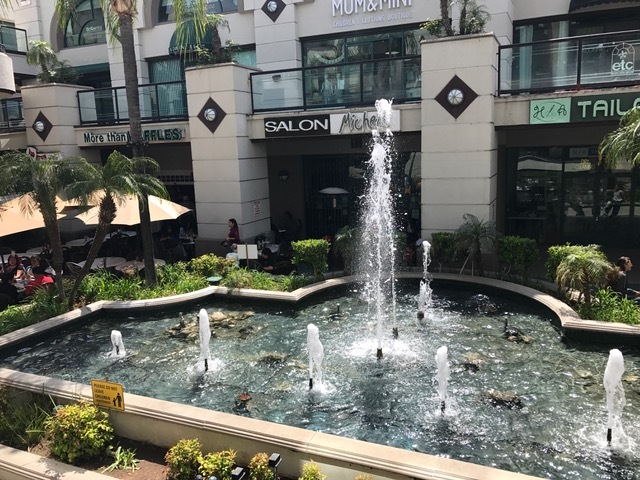 Make a trip out to Encino and enjoy the beautiful weather CA has to offer while sipping on your newfound favorite drink from the Cappuccino Bar. Note:Live entertainment on Saturday & Sunday from 10 am-2pm. Seating is available indoors and outdoors. Pet friendly restaurant.